Rate me, suggest changes / tips. Brutal honesty. [Rate] Rate me, suggest changes / tips. Brutal honesty. So obviously I'm overweight, I'm trying to lower my bf pct and lose around 30lbs before steroids. Any other tips? Surgeries? Planning on carotein soon. Your a 6. Good skull and jaw, look tall and lean enough. Hairline slightly high if anything. Thanks, any suggested changes other than lose weight? (02-13-2019, 02:21 PM)Closeout Wrote: Thanks, any suggested changes other than lose weight? Perhaps grow the hair thicker/more volume. Indeed get your bodyfat below 16%. What's your status? Job, house, social circle? You probably won't get a 6 or 7 on tinder, but I think you could get a non-fat 5 on a dating app no problem. Looking more for specific looks improvements. I'm good with status, I do get 5s on dating apps pretty easy and match decent looking gils on tinder but nothing like crisik. Is there any chance of me becoming a 7.5 8? 7? Depending how losing the weight goes? (02-13-2019, 02:17 PM)35+ UglyNonEscortVirgin Wrote: Your a 6. Good skull and jaw, look tall and lean enough. 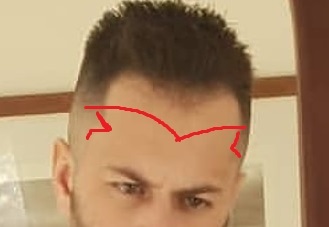 Hairline slightly high if anything. Actually been compared a few time to him now but I don't see it. The suit hides mý body well tbf, I'm 6ft2 and 15st 4, around 214lbs. Any other tips? I want to be a 7 / 7.5 but not sure how. You need hair transplantation at first. Your forehead and hairline so terrible. Don't sweat it tho man you're better off than most people on this forum and 214 lbs for your height is not bad depending on your frame. Be happy with what you got cuz you got it good compared to most people. (02-13-2019, 03:00 PM)GeneticHater Wrote: You need hair transplantation at first. Your forehead and hairline so terrible. Can you even get hair surgery in that way though? I don't think my hairline is the issue, I just have a massive forehead skull wise. If i got a transplant wouldn't the hair be growing sideways? No filters? Why is the entire photo so yellowish then? (02-13-2019, 03:06 PM)Closeout Wrote: 6ft2, no filters actually. Just the room I was in mate, big open floor windows and lots of mirrors.